A busy agenda Thursday night also included a final vote to maintain the current urban services boundary. The Council action means the boundary will stay as is for now, but passage of an amendment paves the way for quicker work on a comp plan study. Planning Director Jim Duncan says that work will be done by the middle of 2020. “Then the planning commission will take it up and probably try to get it adopted before the end of that year and have things in place to address potential growth outside the urban service area, if we need to,” said Duncan. Council also took action on an agreement with the Lexington Cemetery that clears the way for moving the John Breckinridge and John Hunt Morgan statues to the historic graveyard. Mayor Jim Gray says that should occur within the next few months. Council also gave unanimous approval to a ten year telecommunications franchise that clears the way for Indiana-based MetroNet to begin building a high speed fiber optic network. It will compete directly with Spectrum, the only current cable provider in Fayette County. Lexington Mayor Jim Gray says two Civil War-era Confederate statues are being moved in a respectful way to a final and appropriate resting place, the Lexington Cemetery. Kentucky's second largest city has begun moving two Confederate statues. 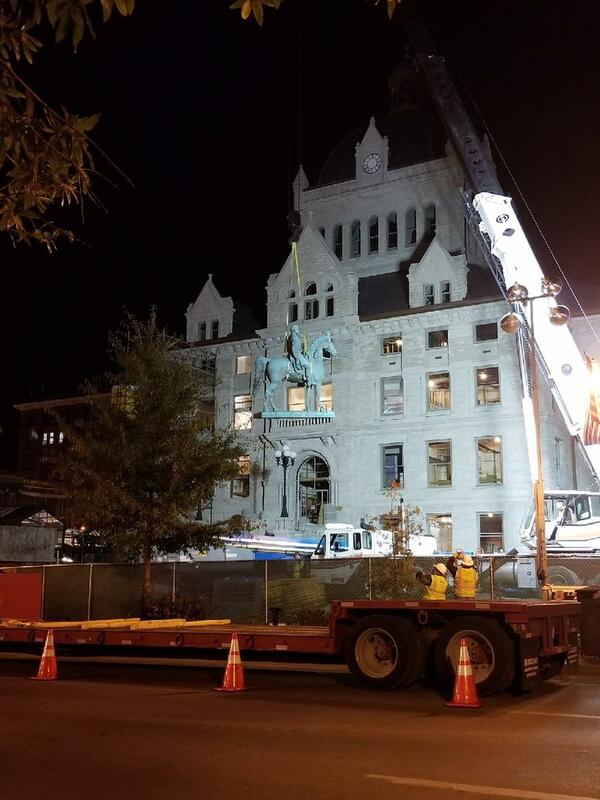 Two statues of Confederate Civil War figures have been removed from the grounds of the historic Old Courthouse in downtown Lexington.